Close to Disney. Free shuttle. Spacious rooms. Good for families. transfer service was very crowded, but works if you are willing to wait and or be jam packed in. Overall a nice experience. Breakfast couldve used a little more variety. Well located, next to Metro. Comfortable room with kitchen. We had the best experience ever thanks to Anastasia, who was simply excellent and went out of her way to exceed our expectations. Anastasia's customer focus and genuine empathy were simply outstanding. Thank you for making our stay memorable! 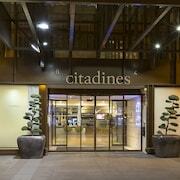 Great place to stay in Paris We stayed at Citadines Bastille Marais Paris for a week in August. 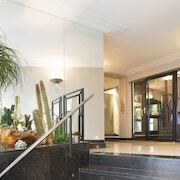 It is well-located near Bastille, with easy access to the metro and buses and lots of cafes, bakeries, etc. 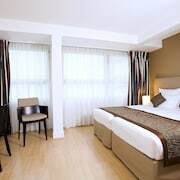 The staff was very helpful, our room was quiet and very comfortable. Arguably the most romantic city in the world, Paris is on nearly every jet-setter’s bucket list. And why not? Some of the world’s most important art lives here at the Louvre; iconic architecture like the Eiffel Tower and the Arc de Triomphe rise above a city already full of beautiful buildings; locals flaunt fashionable frills and haute couture whether spending the day at the office or an evening at the symphony; and fine wines and cheeses accompany delectable pastries at every meal. No matter who you are, there’s something to love in Paris. 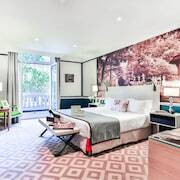 Turn a fleeting infatuation into deeper amour by getting to know even the most mysterious parts of the city and living like a local in our Paris vacation rentals. 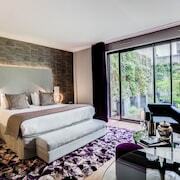 The longer you stay in Paris, the more you’ll discover. While you could get a bird’s-eye view of the city’s winding, narrow streets from Montparnasse Tower, for example, you’ll have to dig deeper (literally) to see the real catacombs of Paris: a complex network of skull-lined tunnels lies below the Square de l’Abbe-Migne. 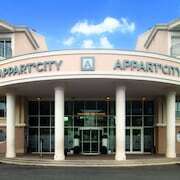 Luckily, both are just minutes from Citadines Tour Eiffel Paris. Reheat your leftovers from the Eiffel Tower restaurant, or be your own chef for the evening with your own kitchenette and stovetop. So where do local families go for a great time? Same place you’d take your kids if there’s one nearby: Disneyland®! Fall with style beside Buzz L’Eclair (Buzz Lightyear), meet the ghosts at Phantom Manor (Haunted Mansion) and laugh it up with Dingo (Goofy) just like back home. 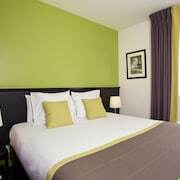 Make it really feel like home by staying at Hipark Design Suites Val d’Europe, just up the street. 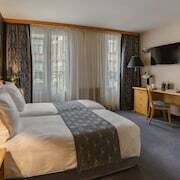 Fall in love with Paris right from the comfort of your own home away from home. 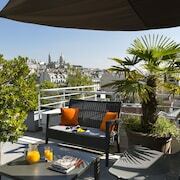 Book one of Travelocity’s vacation rentals in Paris with our exclusive price guarantee today!